This volume features the leading contemporary articles that are part of, or related to, the 'new masculinities' approach in this sphere. These comprise an impressive range of theoretical and empirical work including important cultural and ethnographic analyses. 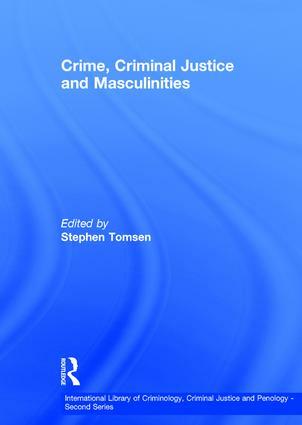 They emphasise the relationship between masculinities, the causes and patterns of most criminal offending and victimisation and the broader workings of the wider criminal justice system of policing (public and private), criminal courts, corrections and prisons. All of the material has been selected from flagship international journals and was produced by a global mix of male and female researchers with diverse disciplinary backgrounds. These scholars share the view that masculinities are plural, socially constructed, reproduced in the collective social practices of different men and embedded in institutional and occupational settings. Furthermore, masculinities are intricately linked with social struggles for power that occur between men and women and different men. Crime, criminal justice and their cultural representation are key terrain for these masculine contests and are always overlain with issues such as social class, age, race/ethnicity and sexuality. Stephen Tomsen is Professor of Criminology and Criminal Justice in the School of Social Sciences, University of Western Sydney, Australia.